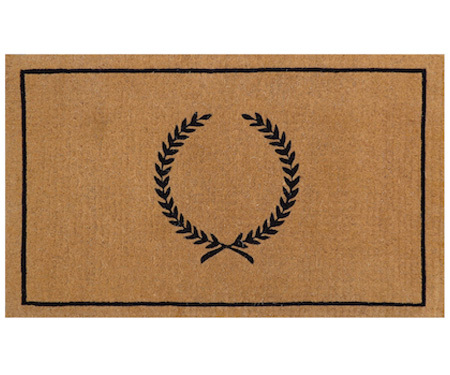 This 100% coir handwoven doormat is thick and luxurious. It comes with an elegant, classic crest design in black on a natural background. Measures 106cm by 66cm and approx 5cm thick.